This course was composed by GM Kalinin. 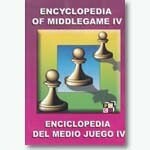 It is aimed at teaching a student much of the middlegame methods and intricacies through a theoretical section which includes over 560 games/lectures, each of them illustrating typical plans and methods in the following openings: Two Knights' defense, Ruy Lopez (Schliemann and 5...b5 variations), Sicilian defense (Richter attack), French defense (3. e5 and 3. Nc3 Nf6 4. Bg5 variations), Caro-Kann defense (3.e5 var. ), English defense, King's Indian defense (Classical, Saemisch, Fianchetto and Averbakh variations), Nimzo-Indian defense, Slav defense (4...dc var. ), Old Indian defense, etc. A special training section includes more than 530 exercises for a user to solve, giving refutations of the wrong moves as well as numerous hints to help you find the correct answer. There are also training 380 positions to be played against the embedded chess playing program Crafty. Multiple user profiles are featured with independent ratings and statistics for each. Printing options are also available. English and Spanish version are available.